this is the news of the month: In 2015 LVM Studios will release the Apollo Saturn Launch Umbilical Tower. As you may have seen on Telford or on the internet we made a prototype for this project to test the assembly, parts layout and several new techniques. In the mean time we have been busy with the main design, setting up a marketing plan, securing budget, etc. We decided to use Kickstarter as a marketing tool and as funding for the project. The Kickstarter campaign has a limited number of full kits available (1/144: 10 pieces, 1/96: 4 pieces and 1/72: 1 piece). There will be also an extra pledge with which you collect your kit in person at the Scale Model World 2015 in Telford UK on November 7th together with a diner with the team of LVM Studios. The Kickstarter campaign will start in a few weeks and we will notify you in time! We hope you share the campaign on social media! As told already we are on the Scale Model World 2015 in Telford UK and our stand will be dedicated to the Mobile Launcher Apollo Saturn project. We will have a fully finished Mobile Launcher on display with a Saturn V in 1/72 scale (total height more than 160 cm). From November 2015 the kits will be available and due to the high cost of a full kit we decide to split up the model kits in several parts. This way the model kits will be available to a larger public and you can purchase parts for your mobile launcher as you go. Well that's it for now! 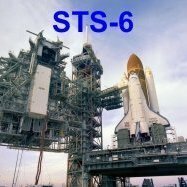 As soon as we have more news about new products and/or the Mobile Launcher Apollo Saturn project you will hear from us again. If you have questions about this newsletter please do not hesitate to contact us at: newsletter@LVM-Studios.com"
Holy moly! 1:72 total height more than 160 cm, this sounds like modeling madness. These kits are mighty impressive - but they are also mighty expensive - which is what deters me. Having said that, I have to say, the notion of a 1/144 Saturn V next to its launch tower is very attractive. now I've got an official response from LVM. The kits will be the Mobile Launcher Apollo Saturn, this includes the MLP and the LUT. The Crawler and the Saturn V are not included. LVM hast started their Kickstarter campaign for the Mobile Launcher Apollo Saturn model kits with a short nice trailer! meanwhile all kits for the special prices are already gone and the funding goal of 10.000 € has already been exceeded with 13.310 €!!! and so the splitting of the nine LUT kits looks like on LVM's website Mobile Launcher Apollo Saturn which is being constructed. LVM Studios have started with the CAD design of the first of the nine individual kits and presented the first renders of Kit 1: Mobile Launcher base. and here is the next update by LVM Studios for the Mobile Launcher with the CAD design of Kit 2: Mobile Launcher details. Then you save a lot of money definitely. What scale do you want to build? here is the new update of LVM Studios of the production of the first prototypes for the Mobile Launcher. and here of the finished plate having fine engraved lines. The side walls have channels to which Evergreen profiles can be glued. In addition, color tests were carried out, at which I suppose but strongly that the parts are supplied unpainted. here is the new update of LVM Studios, where they have been busy with the Parametric design of the LUT. Meanwhile they also have been building the Saturn V from Dragon for the 1/72 display at Scale Model World 2015 in Telford, but there were problems with the S1-C stage, which have led to space problems with the Tail Service Masts (TSM) on the Mobile Launcher that had to be solved. It is unclear whether there are similar problems with the smaller Saturn V models (1:96, 1:144) of Revell respectively Airfix. as I found out meantime by LVM, there are apparently no problems with the other Saturn V models by Revell respectively Airfix. and the first images of some parts made from it. Thus, the LUT project now assumes slowly concrete shape. here is Update No. 14 with some new details before the LVM team goes on a short vacation. The first photo etch parts have been validated and changes have been made in assembly of the parts and their design. The materials used are color-coded: Grey is photo etch, green is resin, brown is evergreen plastic strips and red is brass rod. What do you mean turquoise, I have requested. after LVM team returned from vacation here is Update Nr. 15. It is informed that they encountered a few setbacks. This relates to the 3D design and problems with the CNC milling machine, which were eliminated now, as well as necessary changes to parts of the design for cost reasons. Thus, the Mobile Launcher was redesigned, so thinner panels can be used. Due to the occurring time residues LVM is afraid that the planned delivery of kits in November will be delayed. How much extra time they need is not known yet but they try to keep it as short a possible and will hope for understanding. which has almost already hinted, now is certainty. LVM Studios have informed all bakkers in Update Nr. 16 that the intended release date of November 2015 can not be met due to fabrication problems and design issues. Consequently, the fully build prototype which would be on display at Scale Model World at Telford will not be shown as too many design issues are not solved yet. and so it has also happend, due to the problems encountered LVM could not keep their promise, which is of course very disappointing. Therefore, the announced LUT model (1:72) could not be presented at the Scale ModelWorld 2015 last November in Telford. But therefor the great diorama of the R7 Soyuz Baikonur Launch Pad by Bruno Gire won the "Best in Show" award, based on the LVM kit. In the meantime, LVM now received at least the new controller unit for the CNC milling machine. And after a week of testing and tweaking they got it working, what is reported in Update No. 19. To the previously critical commentary made by me to the disappointing status quo they have indeed responded, but without having made concrete statements for further project procedure or even the delivery date. with the LVM-LUT it actually goes further. As one can see, they continued with the interior of the LUT, adding controll cabinets, storage racks, etc. for each level of the LUT, which is done in a parametric way. Coming soon one will start with the construction of the Hammerhead Crane. By the way is running the inventory of needed Evergreen profiles which must be ordered via distributors, the delivery can take months. The CNC machine which is used for milling the parts of the mobile launcher is still in prototype stage. here is the sparse new Update Nr. 21. The design for the interior of the LUT (control boxes, cabinets, valve complexes) takes longer than expected. A lot of dimensions of these items are not not known and based on several drawings (demolition engineering drawings) LVM try to figure it all out. A start is made with the Hammerhead Crane design. BTW, speaking of drawings, in consideration of the vast quantities of NASA drawings and photos on which Mischa Klement (microartwork.com) has based his crawler and as well his ingenious LUT development, I have no good feeling with the whole thing, because LVM seems have underestimated the complexity of the LUT project and is repeatedly confronted with new problems. They also have been busy with sourcing material for flexible hoses between the LUT and the service arms so the service arms can move. One has found some interesting materials and are waiting for arrival of these materials in order to test the usability. LVM's new CNC milling machine control box has been delayed due to unavailability of certain parts. In the next few weeks they expect to receive the missing parts and can get started on building the control cabinet and getting the milling machine running again. here is the new Update Nr. 22. LVM still fiddles about with the completion of the interior on the 3D model, about parts manufacture is obviously for the moment not to think. When they assembled the cable trays under each level they noticed that the lighting fixture are in the way and intersect each other. LVM get a lot of questions about when the product will be ready, but at this moment they have not set a release date yet. They are aiming at certain milestones but are also aware that issues may come up. At this moment they are still in design stage and expect to build some prototypes (parts of the project) within a few months. here is the new Update Nr. 23. This time it is all about the design of the equipment details on the outside of the LUT, such as water pipes on Side 2, hydraulic lines on Side 4 and the LH2 and LOX pipes on Side 3. In the CAD 3D model this looks quite promising , but it's by no means yet implemented into concrete components, let alone built. The new controller for the CNC milling machine has been built and one starts testing the machine in the next few weeks. In july LVM expect to build the first prototype of the MLP, levels 0-80 and 100-140, which is important for testing if all elements of the construction work well with eachother. here is after vacation-related delay, the new Update Nr. 24. After LVM has apparently found new reference sources, the design was improved and updated once more, after which now first production drawings for the PE parts are made. The design of the LUT interior was allegedly rather complicated due to the variety of electrical equipment, consoles, distributors, heat exchangers, valve complexes (LOX and LH2), cable trays and piping and is not yet completed. Because the interior is quite crammed, it was decided to omit the many storage racks because one supposedly has no data on these racks. Other parts of the design like the Hammerhead crane and Service arms are still a work in progress. The CNC milling machine is running and they try to optimize different parameters to have quality parts produced in the fastest time. To the completion date one cannot make any promise, because the design phase is not finished yet. To my question to the prospects for this year's Scale ModelWorld in Telford (12./13.11.2016), was communicated that one will bring along some protoypes of the 1/144 scale version LUT, anyway better than nothing. So only remains to wait and see! after I have reminded Leon van Munster, after a longer break LVM has still presented 14 days before the ScaleModel World in Telford (12/13 Nov.) Update Nr. 25.
as well as the elevator shaft for testing the tower structure. As it is said, a first exclusive look at the prototype is planned still before the Telford fair. So let's wait and see what's going on there.